Happy 8th birthday and baptism day to our sweet Juliet! Today is Juliet’s 8th birthday! We love this little girl so much and are so proud of who she’s turning out to be. 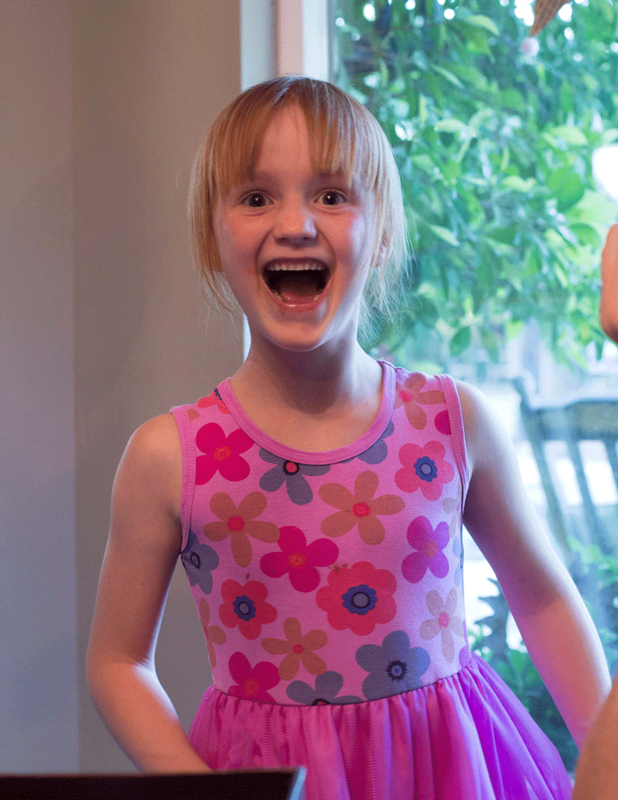 When kids turn 8 in the Mormon church, they can choose to be baptized which is what Juliet did. We gathered with friends and family this afternoon and Luke took her into a font we have at church (like a giant bathtub) and immersed her in the water after saying a prayer. Then we had a program with a few talks and some music and then she received the gift of the Holy Ghost. You can read more about LDS baptisms here! If we had to describe Juliet with one word, it’d be joyous. She embodies excitement, happiness, eagerness and passion for life and we love her for it! It’s never easy watching my babies grow up and I try not to cry my eyes out at big milestones like this, but I couldn’t be happier to have this sweet girl in our family. We love you, Juliet! Oh, thank you Marah! The dress was a hit for sure…and so much easier to make than I anticipated! Let me know if you give it a try!